One of the on going projects have been finalized with ISUZU of Turkey. 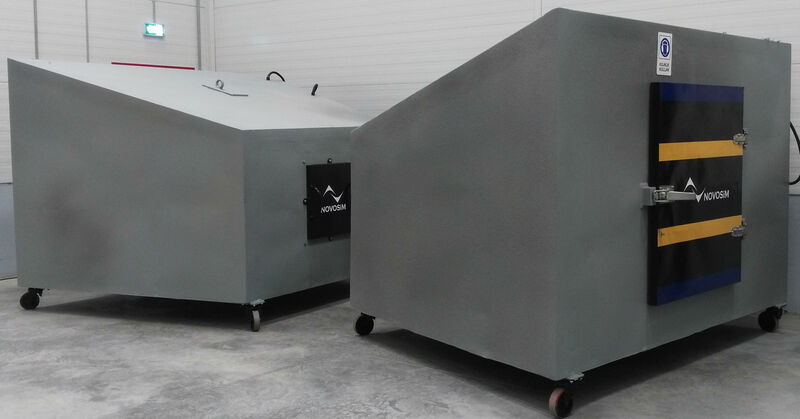 Twin alpha cabins were designed and manufactured to provide our customer the ability to test acoustic properties of materials including sound absorption coefficient and sound transmission loss values. Validation tests for cabins were done against competitors so that for vehicle NVH development purposes the variations could be taken in consideration. Signal processing software was developed in Python and automation was provided using Siemens tools. There are many important aspects for the quality of the measurements taken in a smaller cabin which may include; cabin modes, isolation, leakages, use of deflectors, signal processing parameter selection and others. Feel free to contact for further information. Previous Welcome to Our New WebPage!! !